Sports utility vehicles or SUVs, as they are commonly referred to, were originally designed as height-adjusted station wagon-like vehicles that were equipped with four-wheel or all-wheel drive for better performance on off-road terrains. 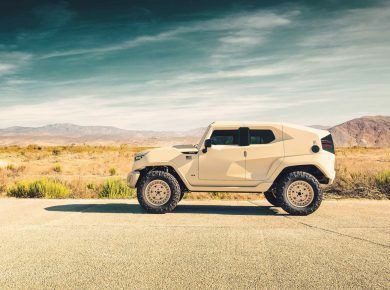 However, the definition of an SUV has changed a lot over the past decade, with many of them specializing beyond the traditional off-road role. Some SUVs new even come with the towing capacity of formidable pickup trucks, while offering all the creature comforts of a passenger car and the space of minivan. In 2015, performance has also emerged as an important factor for SUV enthusiasts who are looking to make their next purchase, provided money is no objection. Let’s have a look at the 10 most powerful SUVs that will be available in the market. And meanwhile be sure to check 15 All-Terrain Vehicles For Sale. 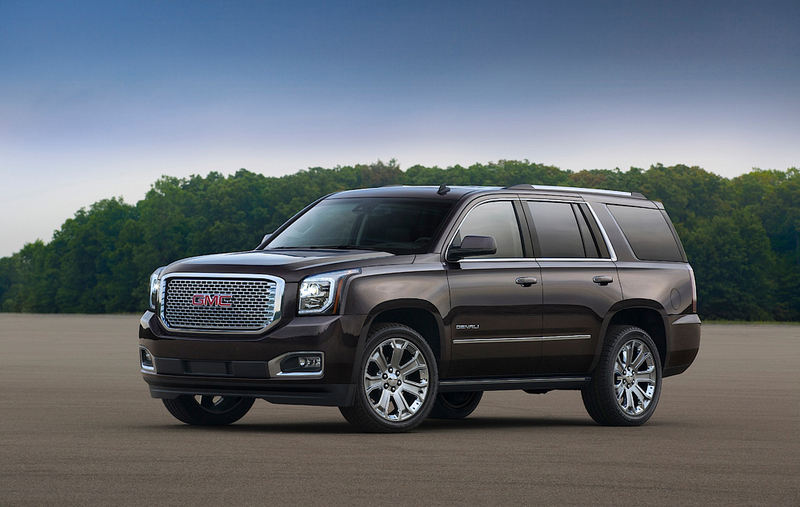 The 2016 GMC Yukon Denali is equipped with a massive air-cooled 6.2L V-8 engine, resulting in a staggering 420 horsepower output. Well, that’s what this beast of a machine is going to need if it’s going to be quick, off the mark. Driving this beast is a 4 –wheel drive, 8-speed automatic transmission, which is tasked with lugging around the nearly 6 Ton SUV. The latest edition of the Yukon Denali is currently the most expensive full-size luxury SUV on the market, but makes up for it in features and fuel efficiency, if you care about things like that. For nearly a century, Bentley has been the benchmark in automotive engineering and design prowess, offering its customers beautifully hand crafted luxury cars, in what is a truly unique and fulfilling ownership experience. For 2016, Bentley is all set to once again redefine automotive history with the launch of its new super luxurious and fast SUV, the Bentayga. 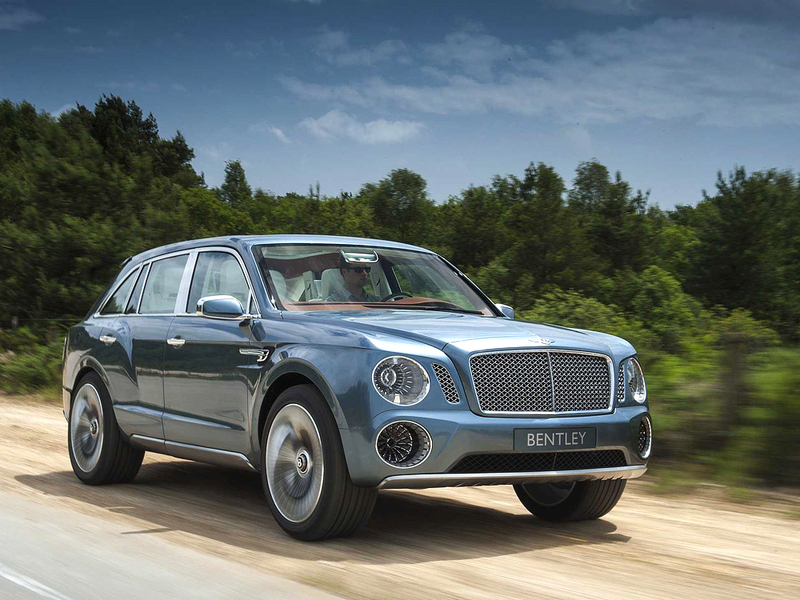 The company claims that their new launch will be the fastest SUV in the market, with absolutely no compromise in the level of luxury that one would expect from Bentley. The Bentayga will be powered by a twin-turbo W-12 engine that churns out a whopping 600 horsepower, which is connected to an eight-speed automatic AWD gearbox. What was earlier launched as an over-priced sluggish vehicle back in 1999, has today emerged as one of the most iconic luxury SUVs in America . We won’t say it out loud, but it’s safe to say that the Escalade’s constant appearance in rap music videos over the years has made it the country’s most recognizable vehicle. Equipped with a naturally-aspirated 6.2L V-8 engine, the 2016 Cadillac Escalade is also one of the most reasonably priced luxury SUVs. Not to say that the regular Grand Cherokee was a slouch in anyway, the Jeep Grand Cherokee SRT/8 is one monster of an SUV, with a 6.4 liter HEMI V8 that churns out a head-knocking 475 horsepower. The SRT can go from 0 to 60 in a mind-boggling 4.8 seconds, and has a top speed of 160. Although comparatively expensive for a mid-size SUV, the Cherokee SRT makes mouths drool with its specifications and almost makes it a bargain! The Merc G-Class is one of Benz’s most expensive vehicles, and also its longest running, surpassed only by the Unimog. For over 35 years, Mercedes Benz has improved and perfected the versatile G Wagon, making it one of the most desirable performance SUVs in the world. But the G63 AMG is another beast altogether, with and twin-turbo 5.5L V-8 engine, the monster churns out over 500 horsepower. The Mercedes-Benz GL series has been a big hit In the U.S., aimed at an audience looking for something more affordable than a G-series, yet more spacious than the ML. The GL550 is the most powerful SUV offering from Mercedes in the United States , with a ground-stomping 557 horses. But one would think that all this muscle hardly makes the GL a pocket rocket, as they fully loaded variant weighs in at over 2.7 tons. However, the vehicle’s massive 5.5-liter Bi-turbo V8 engine is a crazy beast, with a 0-60 time of under 5 seconds, shaming many a modern sports car. The Porsche Cayenne was always the under statesman, with the company adding the occasional LED or bonnet grove in its yearly updates. But the 2016 Cayenne Turbo S has stealthily taken the performance world by storm with a supercar shaming 3.8 seconds, backed by a thirsty 570 horsepower twin-turbo V8 engine. The Turbo S is the perfect SUV for someone who needs to get a lot of things done, very fast. Another out-performer, the tuned up Range Rover Sport, can easily hit sixty within 4.5 seconds. The SVR is most famous for being the fastest SUV to go around the Nürburgring in 2014. Loaded with a 550-horsepower supercharged V8 engine, the Range Rover Sport SVR is a seriously fast set of luxury wheels for just a little over a hundred thousand dollars. The X5 has always been the most refined of crossover SUVs, but what makes the 2016 X5 M such an impressive engineering feat is the model’s price point, which is the least expensive for its features, among five comparable SUVs. The twin-turbo 4.4L V-8 engine propels the SUV from 0 – 60 in under 4 seconds. This beast of an engine throws a massive punch at competitor models like the Mercedes-Benz ML-Series AMG. 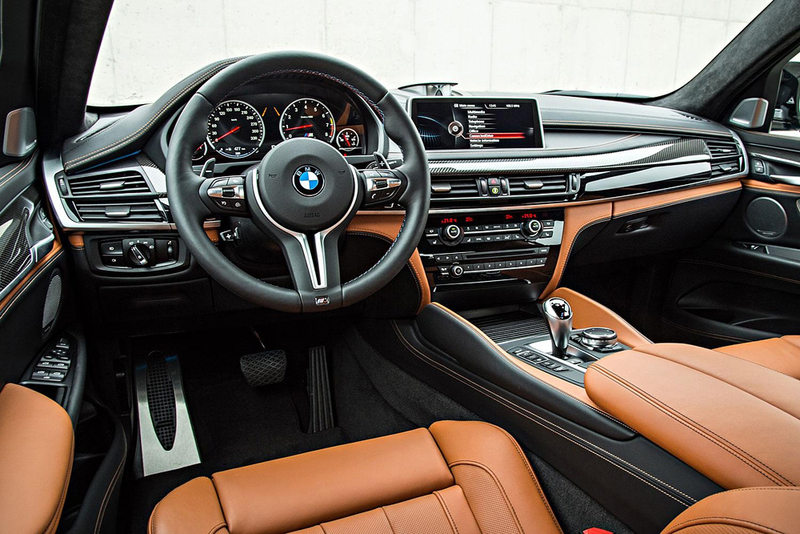 The X6 began as nothing much than a niche product within an already niched segment. But the BMW X6 M is a machine that not only blurs the lines of automobile segmentation, but everything else as well. The X6 M is BMW’s take on a tuned Sports Activity Coupe, with a mouth-watering 567-horsepower under the bonnet, the X6’s killer looks aren’t just for show. With coupe like looks and handling, and decades of pedigree to go with it, the only shortfall of this so-called SUV is the near non-existent trunk.